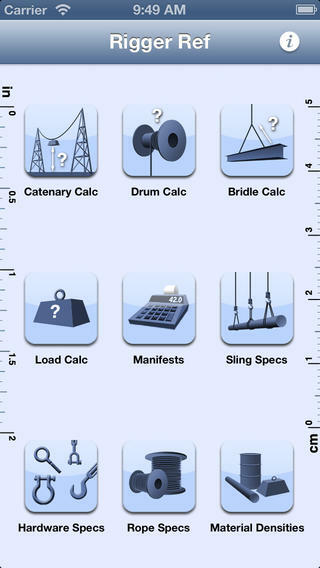 Rigger Ref is a reference and calculation utility for riggers. 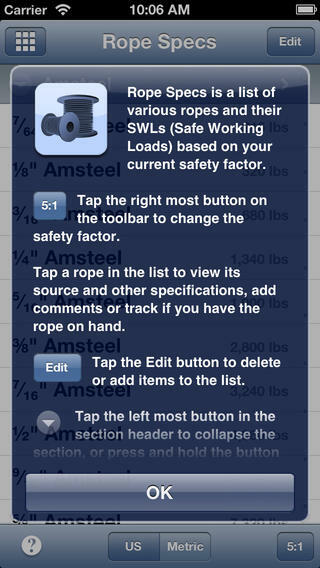 Keep specifications of ropes, hardware, slings, and material densities at your finger tips. Quickly figure safe working loads, line sag, amount of line on a drum, and bridle calculations. 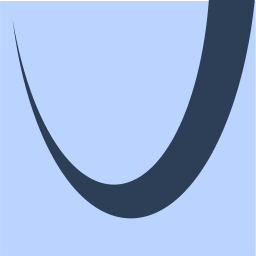 Figure Catenary curves based on line tension, weight, line weight, and tower heights. 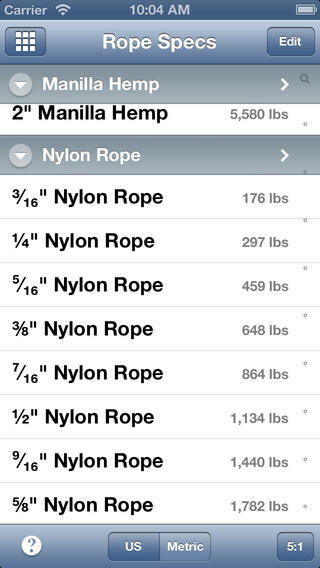 Track which ropes and hardware you've got on hand. 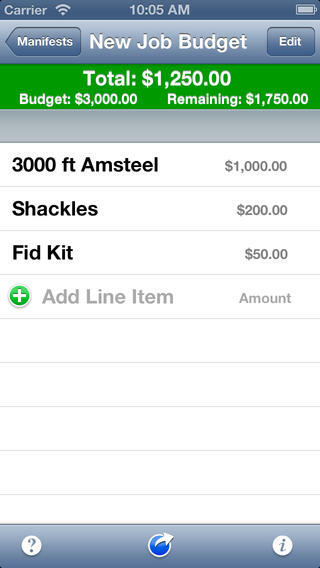 Create manifests of frequently used equipment to automatically total weights or costs. 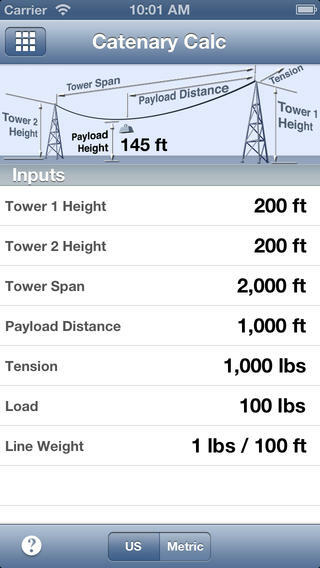 Track when a manifest or equipment exceeds or falls short of a weight budget. Mail manifests of equipment or labor quickly. Easily import manifests onto other devices running Rigger Ref.